Business level consulting and advisory to Commercial Banks comprises banking management, marketing, product development, technology and operations. Banking Management – Assessment and training in the development of channels/branch management, products/services management and client relationship management. The strategies are developed to reflect and support the bank’s overall business strategy. Marketing – Market planning, market research, marketing strategies, development and management of new products and services, customer and market segmentation and branding. Business/Product Development and Training – Strategy formulation, research methodology, new product development process, product management and management of distribution channels. Development of Product Management Strategies – Product assessment to determine the likelihood of success for new products/services, assessment of the efficiency and security of operations, mitigation of risk and compliance with bank and prudential regulations. The methodology utilized by ICD Corporation improves the effectiveness and quality of implementation and avoids the introduction of products that do not benefit the Bank. Market Analysis and Segmentation – Identification and measurement of market and customer segments, development of market segmentation, assessment of customer profitability, development of customer awareness and training on the analysis of customer needs. 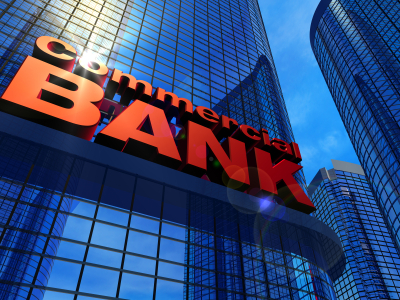 Banking Operations – This includes assessment of private banking, corporate banking and retail branch delivery structures with recommendations for management based on industry best practices. This includes the assessment and management of the business processes associated with each of these operational areas. SME and Microfinance – The SME practice focuses on access to finance, strengthening both demand and supply sides, product development for lending to SME’s, training of lending officers in risk based lending, cash-flow analysis and development of strategies to ensure a high level of exposure to the enterprise by offering complementary banking services in addition to loans. Assessment of risk and establishment of caps for limiting risk and industry concentrations in the SME portfolio. In addition, ICD Corporation advises and trains lenders on the tools available for monitoring client business performance and defines a uniform framework for the lending activity for the SME sector. Systems and Technology: Development of system requirements, technical and functional specifications in accordance to the banks needs. Project management and implementation.